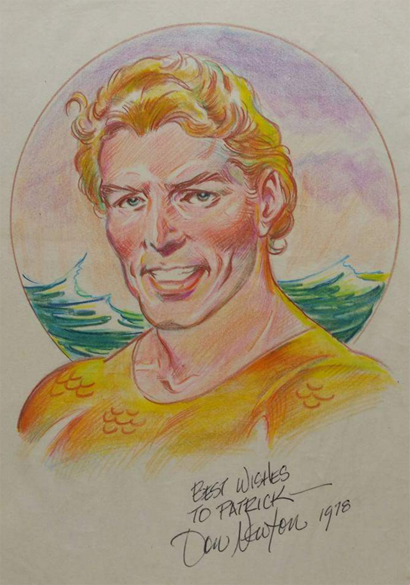 Don Newton's career was tragically cut short, and his run on Aquaman was similarly too brief. But he did tremendous work and, outside the comics, I haven't seen much Aquaman by him. So you can imagine my delight when I saw this sketch posted the Shrine's FB page by newest F.O.A.M. member Scott Rowland, from a Don Newton fan page also on FB. Such beautiful work. Thanks Scott, and welcome to F.O.A.M.! Gorgeous. Don Newton was one of my favorite artists as a kid. I came into Batman comics just as he did. His death really hit me hard, at an age when I hadn't encountered it much before.